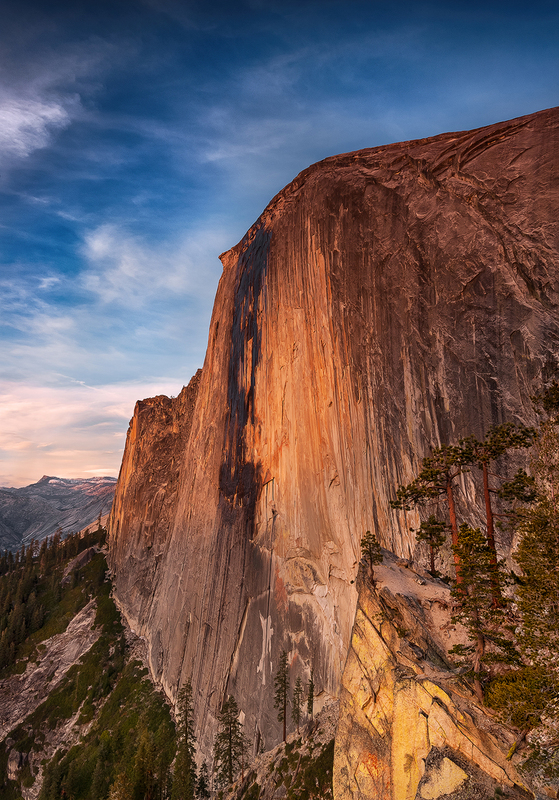 Sunset on Half Dome, Yosemite National Park. This beautiful view is from the Diving Board. It was the spot of one of Ansel Adams most famous images .